Azerbaijan has been recently taking important measures to modernize the locomotives. 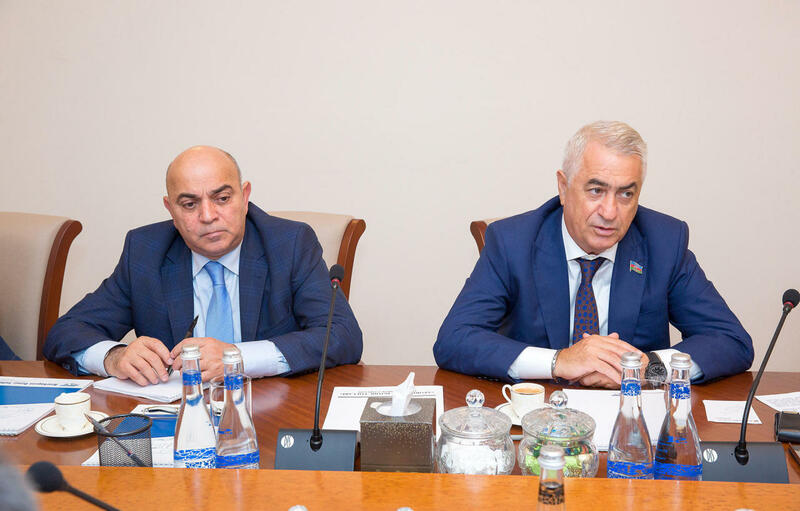 Javid Gurbanov, chairman of Azerbaijan Railways CJSC made the remarks at a meeting in Baku with a delegation led by Alstom senior vice president for the Middle East and Africa Didier Pfleger. France’s Alstom Transport SA and Azerbaijan Railways signed an agreement on May 12, 2014 according to which Azerbaijan Railways will purchase 50 AC locomotives. 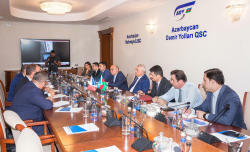 The current project planning and supply of locomotives to Azerbaijan Railways, maintenance by Alstom on the basis of short-term and long-term strategies, as well as the completion of the signaling project in the direction of Baku-Boyuk Kesik, were discussed at the meeting. 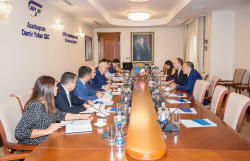 Gurbanov informed the guests about the transport and logistics potential of Azerbaijan, the Trans-Caspian International Transport Route, the North-South, South-West transport corridors and the Baku-Tbilisi-Kars railway. Pfleger, in turn, stressed that Alstom regional center for Western and Central Asia, the Caucasus, Iran and Iraq was transferred to Baku. 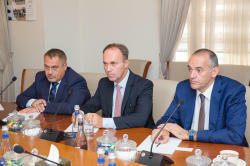 “This will contribute to strengthening the company’s activity in Azerbaijan and attracting more attention to the Azerbaijan Railways-related projects,” he added. Pfleger expressed satisfaction with the expansion of ties of cooperation with Azerbaijan Railways. 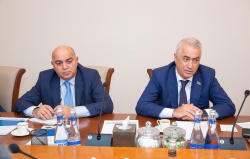 Alstom Transport SA Managing Director for Western and Central Asia Bernard Pell and Alstom Managing Director for Azerbaijan and Georgia Elshan Zeynalov also attended the meeting. Alstom and Azerbaijan Railways CJSC have been cooperating since 2014, signing a contract for the delivery of 50 electric locomotives. In October 2017, the first AZ4A locomotive in Belfort, France was presented to Azerbaijan Railways. Today, Azerbaijan participates in such large-scale railway projects as the International North-South Transportation Corridor and Baku-Tbilisi-Kars (BTK). The transport corridor "North-South" is designed to connect Northern Europe with South-East Asia, including the unification of the railways of Azerbaijan, Iran and Russia. At the first stage, along the corridor, it is planned to transport five million tons of cargo per year, increasing later to more than 10 million tons of cargo. A solemn ceremony on the occasion of the opening of the BTK railway was held on October 30 at the Baku International Sea Trade Port. Two trains from Kazakhstan to Turkish Mersin have already been sent via this route. The first train, consisting of 30 containers, on November 4, delivered 600 tons of wheat to the Turkish city of Mersin.